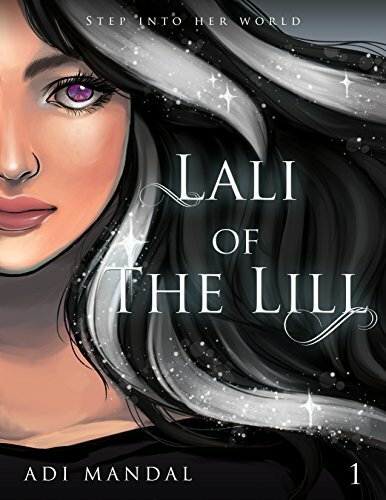 Lali must face her fears and begin the journey to The Lill, a treacherous journey built around lies. In seeking for the truth about her past and future, she must leave Krei, the young man who loves her more than his life, and learn to trust Theon, a stranger who claims he is the only one who can help her. At home and miles away from busy Moorgate, Lali still thought about him. How could she not when she had prayed every night to see him again? She recalled the earlier scene at the Pizza Galleria when he didn’t even notice her existence before she found hope once more. But she couldn’t confirm. Several crazy ideas on how she could get Theon to admit he was the young man she thought he was crossed her mind before she finally left it all in the hands of fate. Her thoughts of him completely vanished when she saw the cute surprise hanging on their porch’s clothesline. Then, she heard a lovely voice. Lali knew well enough that she was a messy sight. Her long, black hair was rarely combed. Her lips had never felt the smooth tip of a stick lip balm. She hardly checked herself out in the mirror because that was simply not on her ‘to do’ list. So with all these things in mind, Lali couldn’t fathom what she may have done to deserve a guy like Krei. Stella and Lali were foreigners to London coming from a faraway place, a place where they were not welcomed. Their own family and friends caused their banishment, and so they were not too surprised by the hostile treatment of their neighbors over them, especially Louise. No word could describe how much Krei’s young stepmother hated the mother and daughter, especially Lali. And then she had second thoughts. Maybe today she was exhausted. Thinking about Theon and why he didn’t recognize her took too much of her energy.